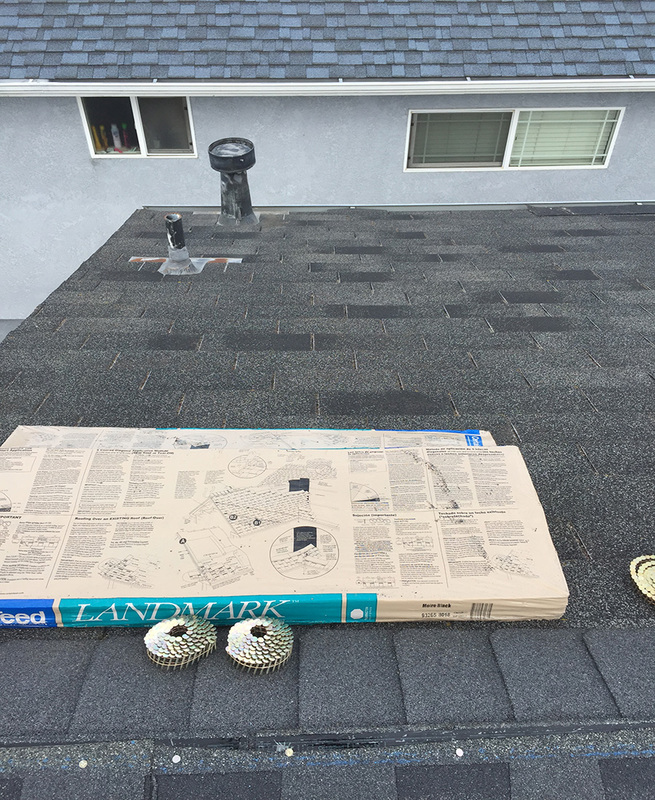 Re-roof in the Mt. 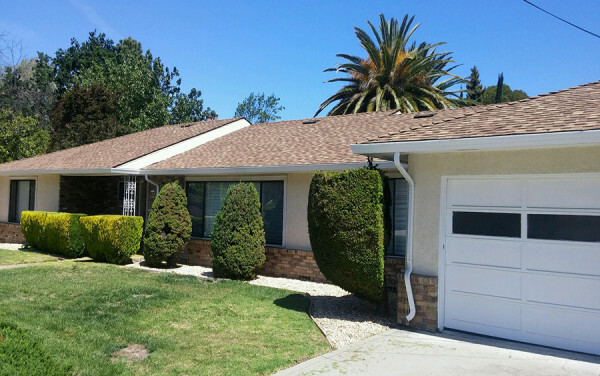 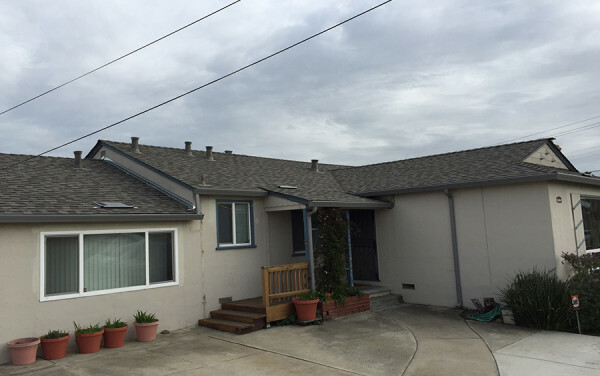 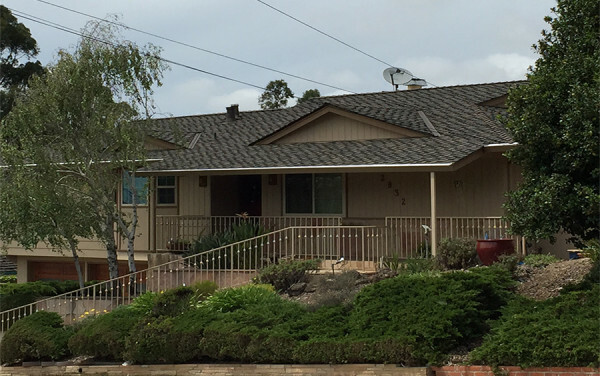 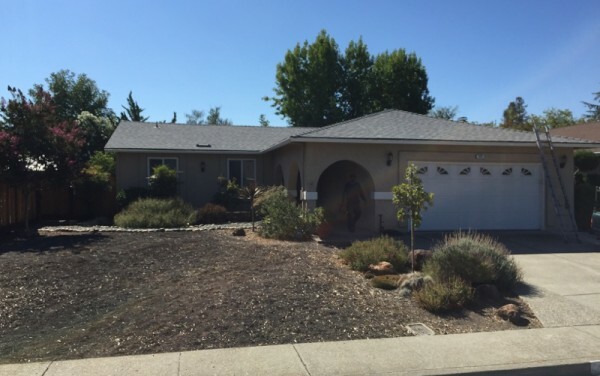 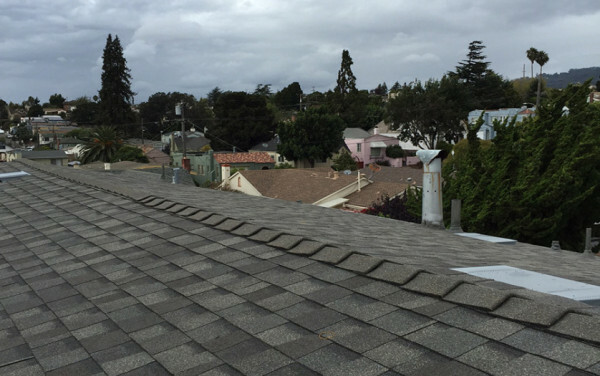 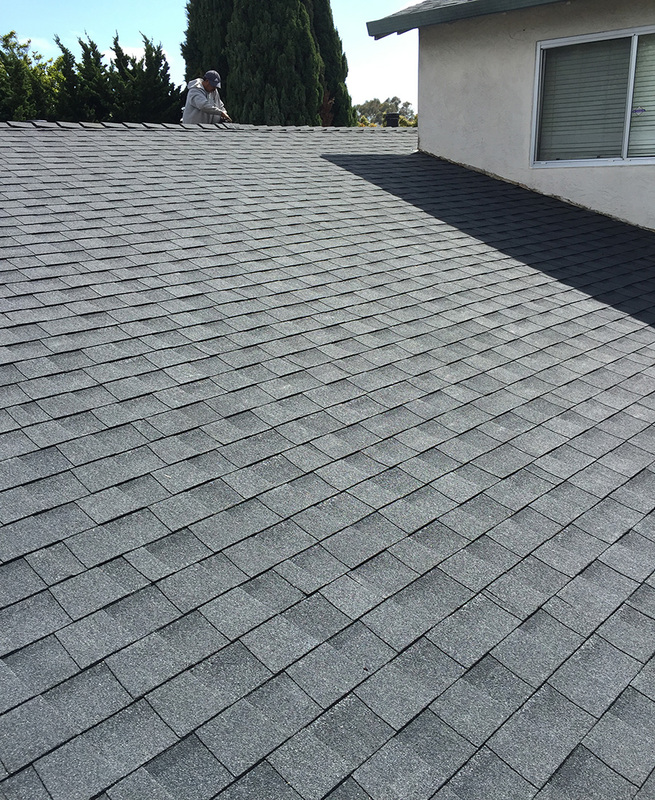 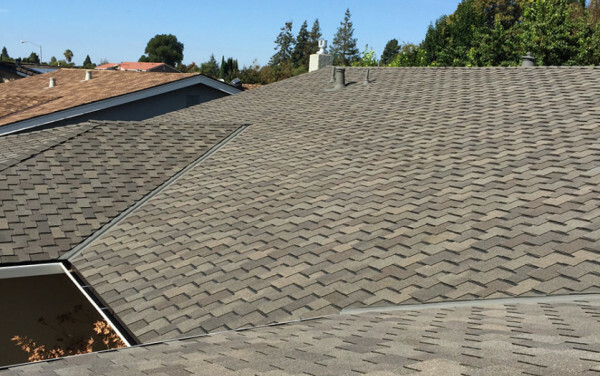 Eden neighborhood of Hayward, featuring Landmark shingles (color: Moire Black), by CertainTeed. 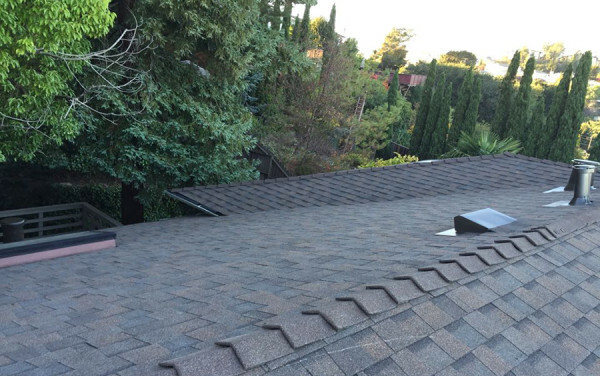 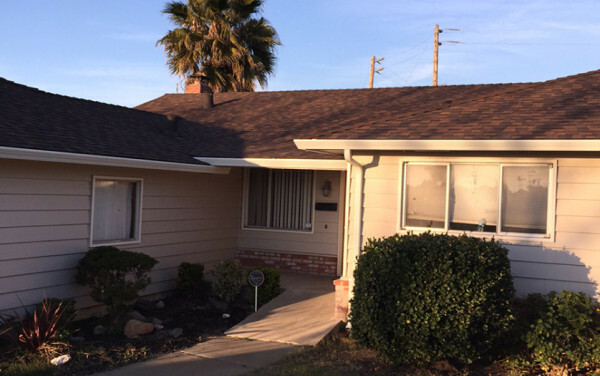 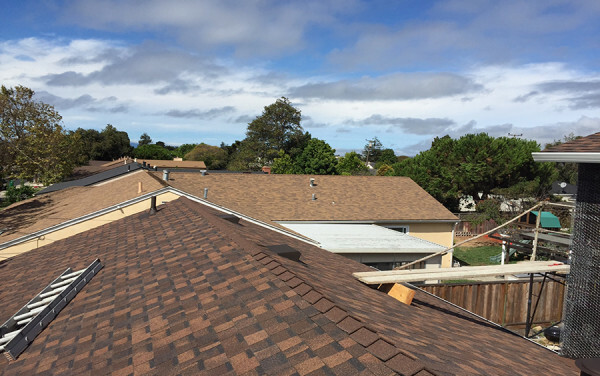 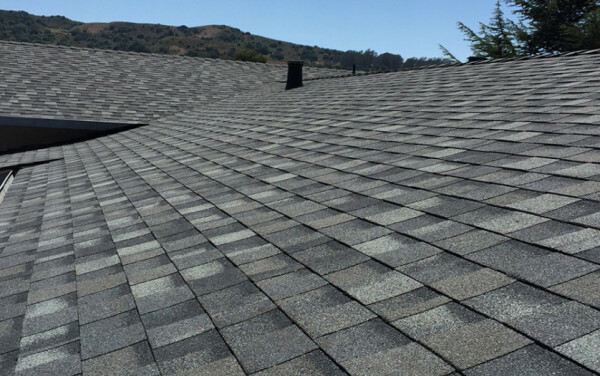 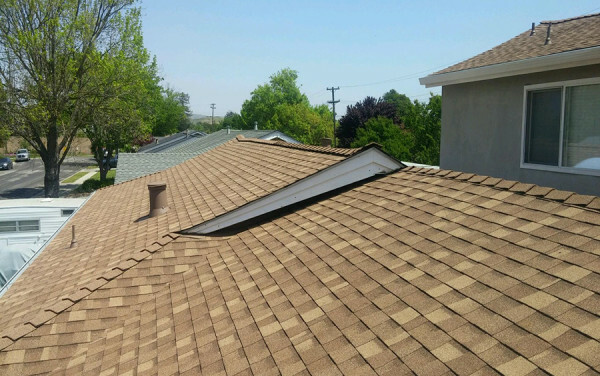 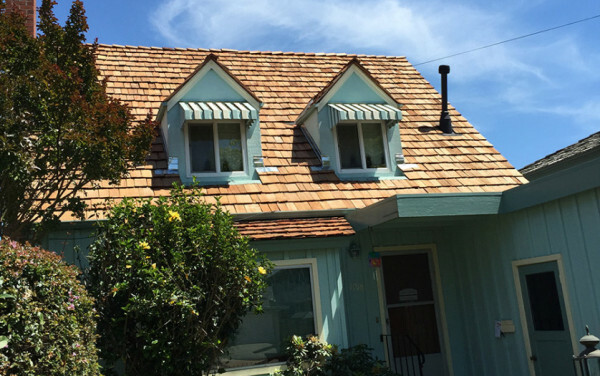 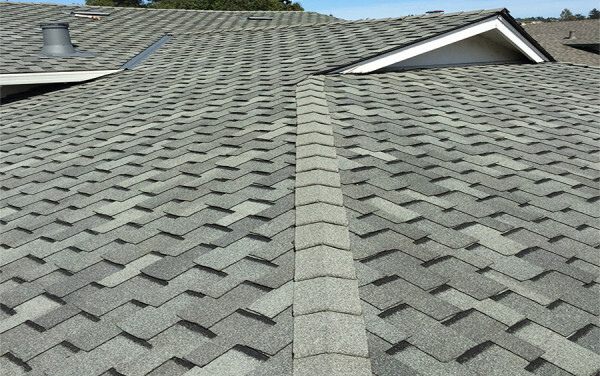 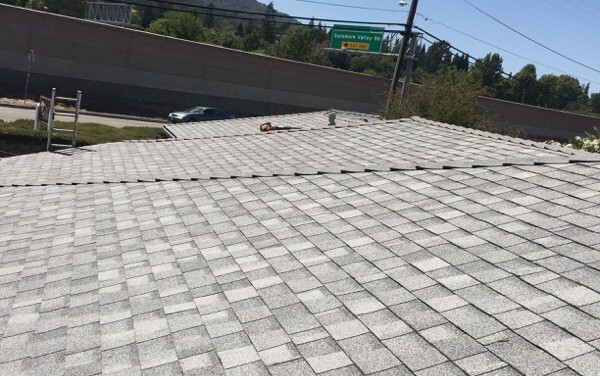 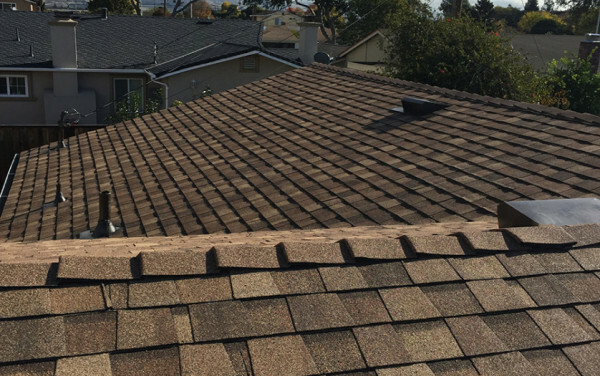 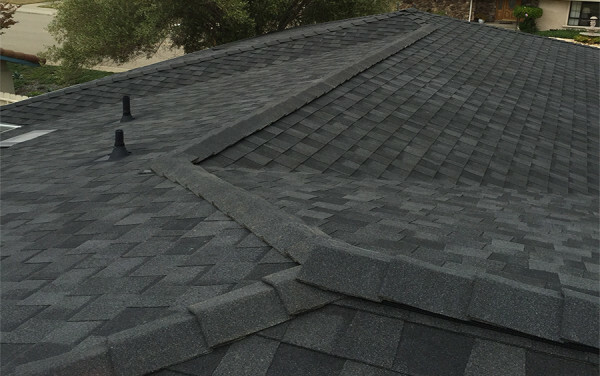 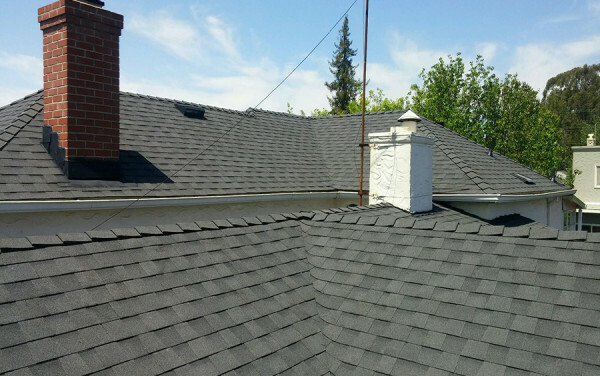 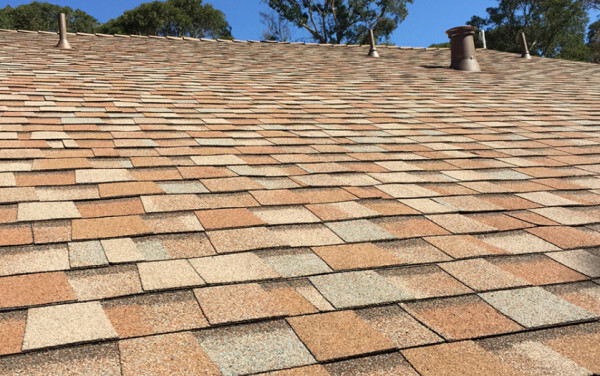 This roof only had one layer of composition shingles installed; and in many counties, two layers of roofing are allowed to be installed on residential homes. 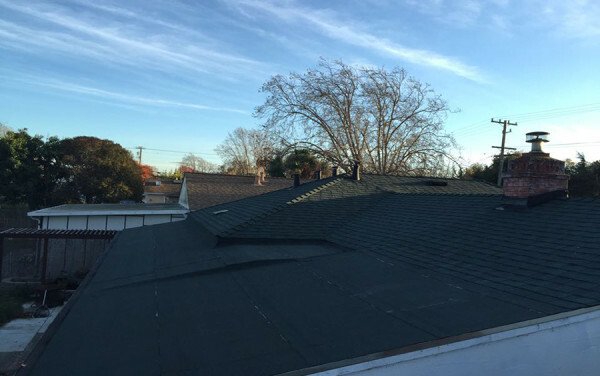 Consequently, we were able to recover this roof, rather than tear off the original layer. 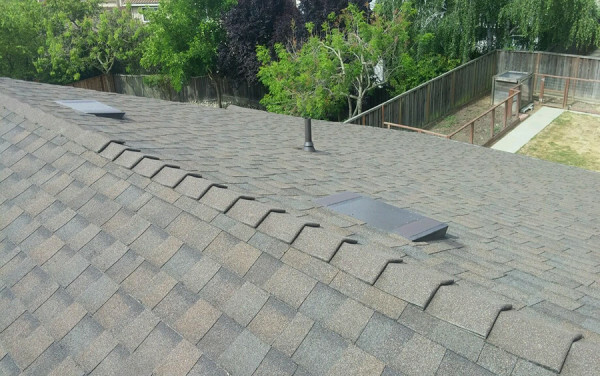 This allowed for a cost savings of $2,500.00. 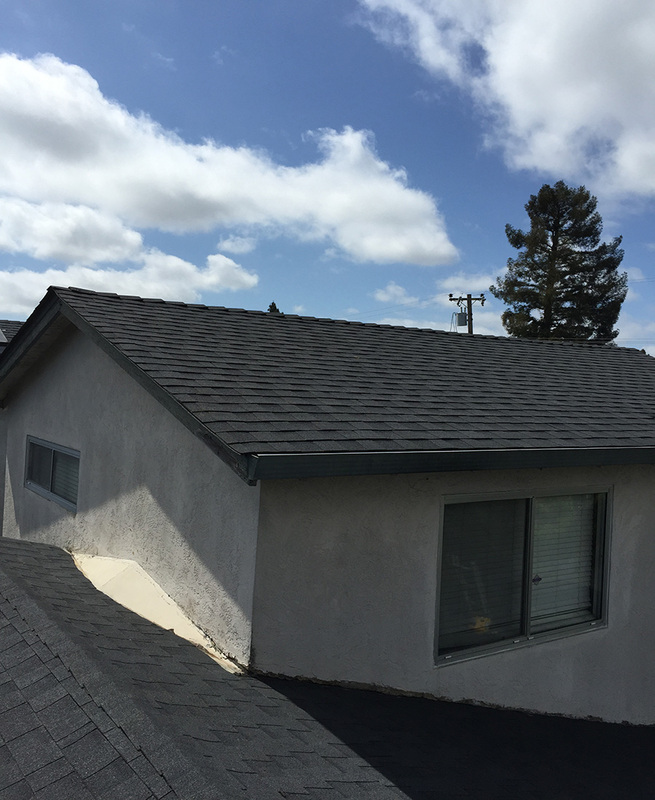 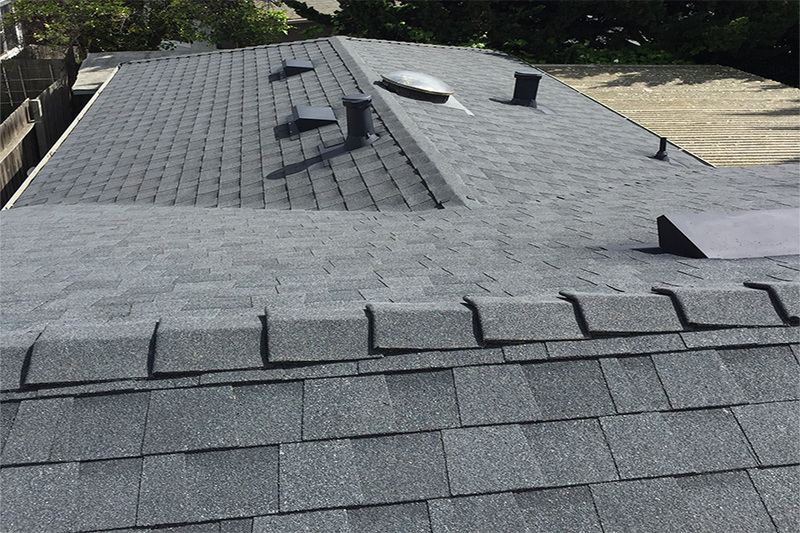 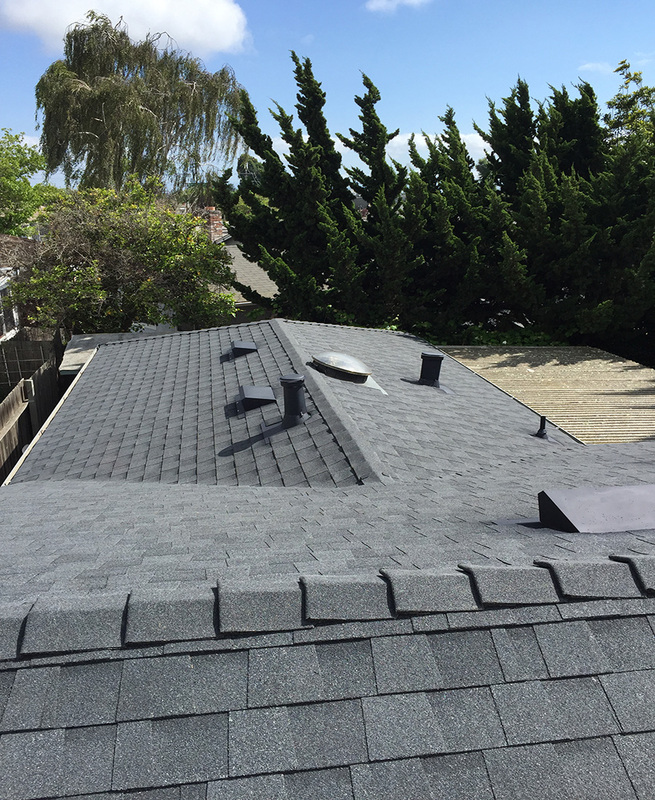 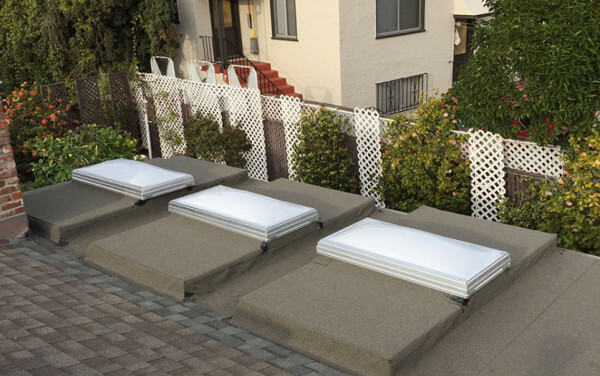 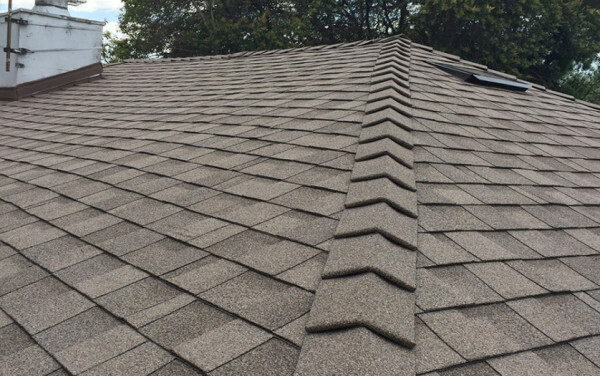 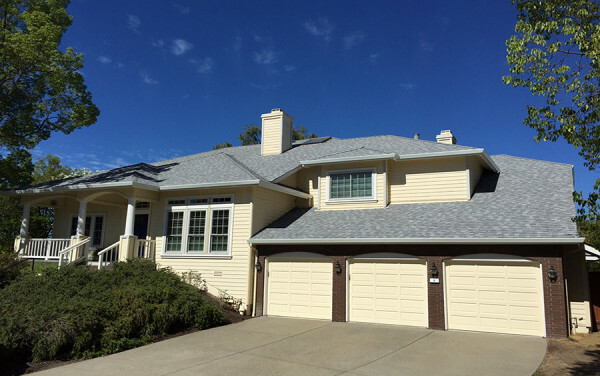 This roof installation also included Rapid Ridge shingles, to accent the ridgelines, and vent flashings, painted to match the roof.